Sydne Didier is a long-time open water swimmer who trains with the UMAMA Masters Team based at UMASS Amherst. She is a U.S. Masters Swimming Levels One and Two Certified Coach. 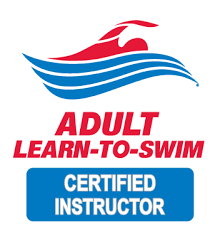 She is a U.S. Masters Swimming Adult Learn-To-Swim (ALTS) certified instructor. She is a Swim Speed Secrets Certified Coach. Sydne is a certified lifeguard and trained in infant, child and adult CPR. She is certified in Wilderness First Aid through the Solo Schools of Wilderness Medicine. She is also a member of the Town of Amherst Community Emergency Response Team (CERT).